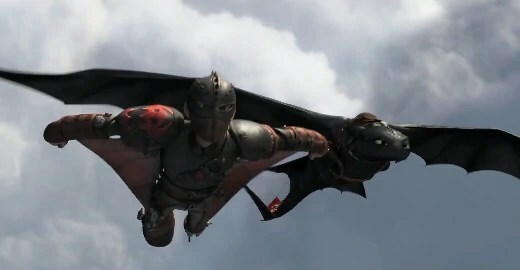 How To Train Your Dragon was a surprise hit for Dreamworks back in 2010, that a sequel was a sure thing. It would have been so easy for the team to just give us a carbon copy of the original but what they have done is something special: they have made a sequel that is better than the original and a whole lot darker as well as lifting the bar of animation to a whole new level. Five years have pass since the Island of Berk took dragons under their wing and the friendship between Hiccup and Toothless grows ever stronger. Stoick wants Hiccup to become leader of the village when he has gone, yet Hiccup feels he is not ready for such responsibilities. 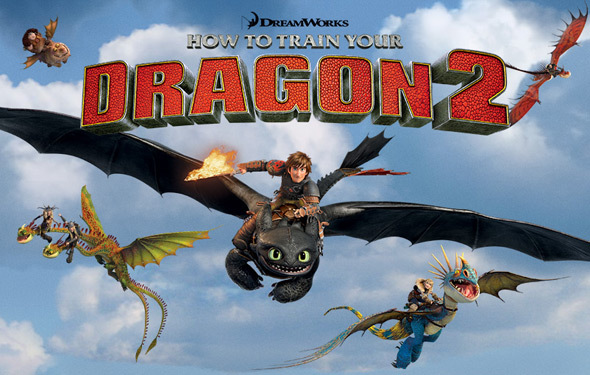 While out creating a map of the surrounding areas of the island, Hiccup and Astrid come across a fortress destroyed by ice and an irate Eret, a dragon catcher, wanting Toothless for his father, Drago. Escaping their clutches, Hiccup comes across another ice territory and the home to hundreds of dragons, all tamed by a mysterious figure who turns out to be Hiccup missing mother, Valka. Things turn for the worse when Drago arrives wanting control of all the dragons and while tragedy is at hand, Hiccup seems to be the only one who can save the day. Let me just say from the off that you are not going to believe what they have done with the animation. If you thought the first film was impressive, then you ain’t seen nothing yet. Returning director Dean DeBlois and the team at Dreamworks have gone further than any other animation studio. Battle scenes that are on the scale of The Lord Of The Rings. Details so intricate that will amaze you. Even the movements of the human characters have improved to the point that you sometimes forget you are watching a cartoon. So we get scenes underwater where you genuinely think it is water. High speed flying sequences that leave you breathless and the battle between Vikings and dragons that put you right at the heart of the action. They set out to impress and they do just that. The story is much more complex and detailed this time. Although the high jinx and slapstick still exists, they play this one much darker. Gone is the tale of a simple young boy trying to bond with his over powering father, this boy is now a man and must face his fears as well as his past. Without giving too much away, this includes one of the most unexpected and shocking animated moments this side of the death of Bambi’s mother. Once again a very brave decision that works in its favour and helps make this a better film for it. I’m still bothered by the use of Jay Baruchel as Hiccup, especially as we now have his mother, almost unrecognisable by Cate Blanchett, who also sports a rough Scottish accent and there are some moments when it does seem out-of-place with the tone of the film. That aside, this could be described as the animated equivalent to The Empire Strikes Back, whereas the first film has plenty of fun, this one ejects that for a tougher story and moments of shocks. Having said that, it still has plenty of comic treats and the throw-away one-liners and visual gags still exist, just not as often. It’s a real pleasure to watch a sequel that sidesteps the trappings of giving the audience the same as before. It’s like watching a completely different film except with the characters we have become familiar with. There isn’t a minute of film that is wasted or drags and you leave the cinema wanting more. Will it be as big as the original? I’m not sure, as some younger viewers may find the experience too tense but whatever happens, this is a brave and exciting film that demands your attention and I hope it’s a big fat success because I can’t wait for number 3.